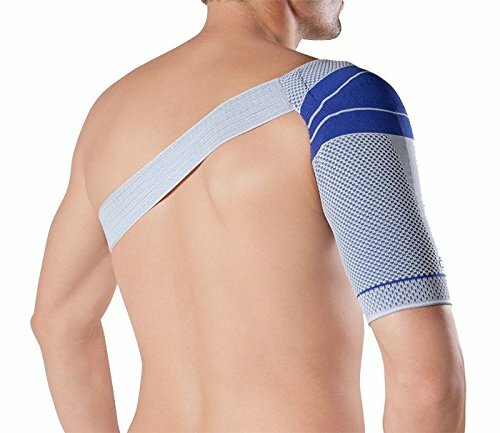 Active support for Muscular activation of the shoulder joint.. Viscoelastic soft pad - massaging nubs reduce swelling and relieve pain in the soft tissue. High elasticity - makes it easy to put the shoulder support on and take it off. Strap system - secures the brace to your body and centers the shoulder for stability and pain relief. . . Bauerfeind 11071710080604 OmoTrain S Shoulder Support, Right, Size 4, 11-1/2"-12-1/2" Circumference. 11071710080604. Country of Origin : United States.